If you have COPD, you have specific needs to ensure you receive optimal ventilation and comfortable therapy. 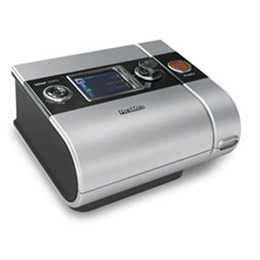 ResMed’s VPAP™ COPD is a noninvasive ventilation (NIV) device that can help you comfortably manage your condition in your own home. Designed specifically to treat COPD, it incorporates the stylish design and sophisticated comfort features of the S9™ platform to help you stay on track with therapy.